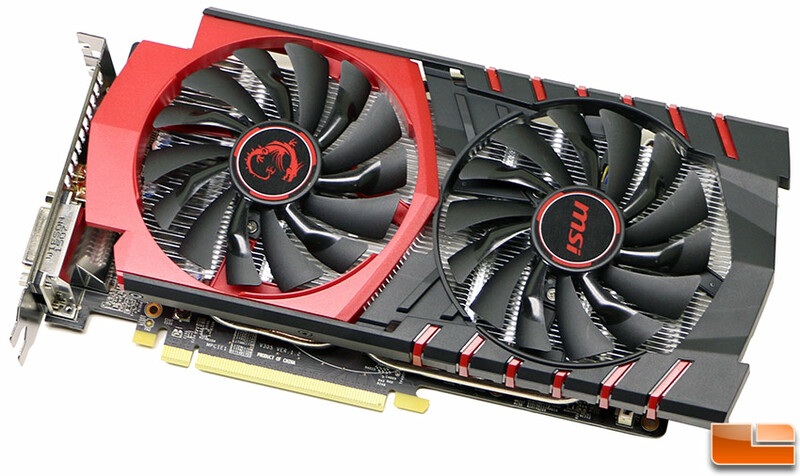 We spent a day trying to overclock the MSI Radeon R7 370 Gaming video card and we couldn’t do it! 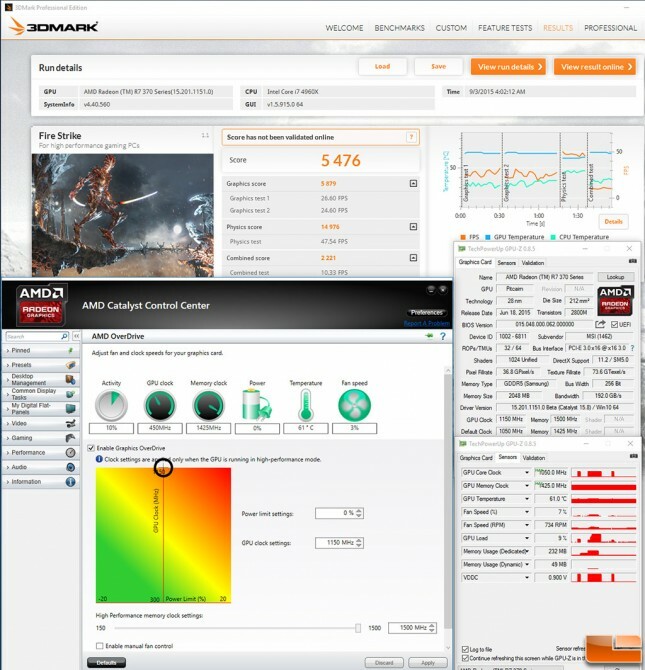 We first tried using AMD Catalyst Control Center and maxed out GPU clock settings at 1150MHz and the memory clock at 1500MHz and the 3D Mark Fire Strike score didn’t budge. We were still getting right around 5475 points! The main tab of GPU-Z showed that the GPU clocks were running higher, but when we looked at the sensors we found that neither the core or memory clocks were changed and it appears the card was locked at the stock speeds. We then gave MSI AfterBurner a shot and again found that overclocked was limited to 1150 MHz core and 1500 MHz on the 2GB of GDDR5 memory. 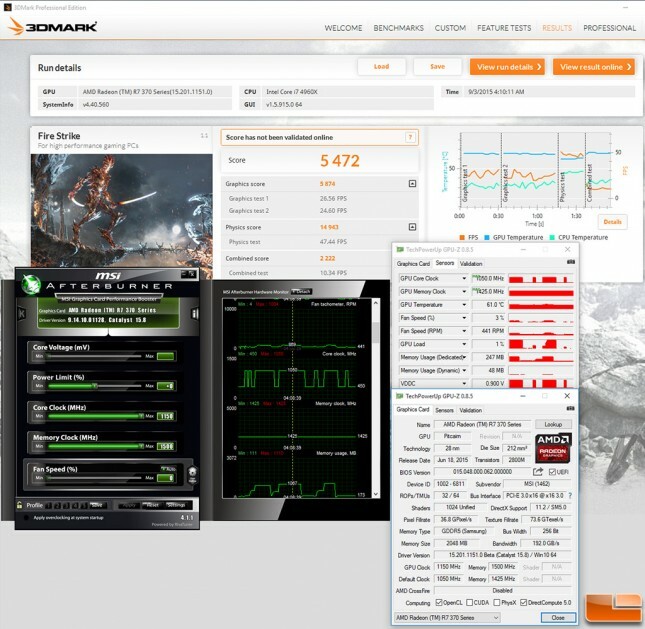 We applied the OC settings on our Windows 10 test system with AMD Catalyst 15.8 drivers and again found that the overclock was showing that it was set in the utilities, but the sensors of both Afterburner and GPU-Z showed otherwise again. Other sites have overclocked this card, so we aren’t sure why ours wouldn’t! If you have any ideas please feel free to leave a comment below!